In the last couple of days Rip Curl have announced that the latest round of the Rip Curl Search will be held at Ocean Beach in San Francisco in November. Looking forward to seeing how the world’s best attack the chilly waters. Here’s our rundown of this spot. Originally better known as a fishing spot than a surf spot, Snapper is now probably the most crowded wave in all of Australia. Thanks to a project that began back in 1995 clearing sand from the entrance to the Tweed River, it’s now possible to ride a wave from Snapper all the way down to Kirra … rare, but possible! Probably one of the reasons you’ll find the likes of Parko and Mick Fanning at this spot, when they’re not travelling the globe with the ASP World Tour. Snapper Rocks: the start point of the longest right-hand barrel machine on earth. The Snapper section gets more swell than Kirra, often delivering a hard-breaking take-off, leading to a makeable tube section and race-track. Can link up across Rainbow and Greenmount for record breaking shack time. Current is mad so get a wave quick and walk back up the beach. Advanced. Crowds … Ah Yeah!! 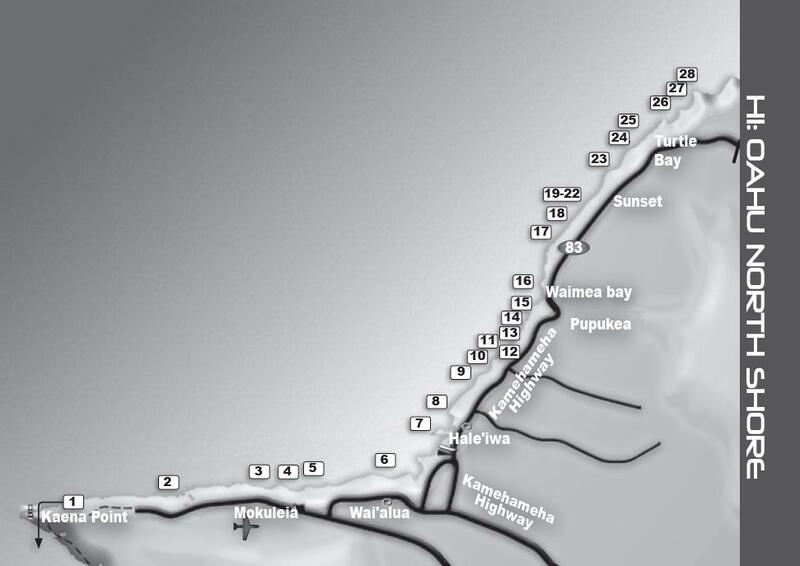 Here’s more info on Gold Coast surfspots and surf spots around Australia. Autumn – not summer – is the time to hit the beach as the UK enters prime surfing season. With storm-watchers’ predictions of an especially active hurricane season proving accurate so far, 2010 looks set to be a great year to be a North Atlantic surfer. Here are our tips for surfers of all abilities. Above: Fionn Crow Howieson at Porthleven, February 2009. Photo: Tony Plant/Wavefinder. Gentle waves and an abundance of surf schools make this beautiful North Cornish beach a great place for novices to take their first steps on a surfboard. A gentle but consistent surf experience, the shallow, shelving beach knocks much of the power out of the swell to create spilling waves perfect for learners. The outer sand banks can produce nice big peaks on larger swells at low tide. One of the more accessible and consistent waves in the area so can get busy in summer. The first part of the UK to be designated an Area of Outstanding Natural Beauty, the Gower peninsula is home to waves that match the scenery. Llangennith, at northern tip of the expansive Rhossili Bay, is generally the indicator spot for the Gower, picking up the most swell in the area. It’s a huge beach that is popular with all surfers, offering plenty of peaks in most conditions, with plenty of space for surf schools. This vast beach stretches for three miles from Putsborough at the south end up to the village of Woolacombe. Putsborough is usually an incredibly easy spot for beginners across a never-ending beach with huge tidal range. Prevailing south-westerly winds are blocked or even offshore at the bottom end of the beach; a plus on a windy summer afternoon although the swell doesn’t always get in here. Woolacombe’s super-mellow beach break works on all tides. The sand just about disappears at high tide when the northern end gets a respectable right-hand peak. Crowds are well absorbed and it’s quieter than Putsborough or Croyde. The UK’s surfing capital attracts everyone from die-hard surfers to families and stag and hen parties. Fistral Beach is the spot to head for with waves at all stages of the tide. When it’s too big or blowy at Fistral, look around the headland to Newquay Bay where sheltered waves can be found at Towan, Great Western and Tolcarne beaches. After dark the town’s 40 plus bars and clubs come to life. Nearby Watergate Bay has seen Prince William and the Sunday Night Project’s Justin Lee Collins grace its waves. Home to a passionate and welcoming surfing community, Newcastle has been the training ground for British champions Gabe Davies and Sam Lamiroy. The cold North Sea dishes up some quality beachbreak surf at Longsands Beach, a bustling but mellow beachbreak. It can be easily blown out, but with good offshore winds this competition venue can get epic – and it’s the most reliable spot around. ‘Fresh West’ picks up the most swell in Pembrokeshire with several sandbar peaks on the main beach and reefs. It’s very consistent, so therefore gets very busy, but the strong rip currents keep the surfers spread out over the various peaks on the rocks (check the south end). Access is sometimes limited by the MOD – the beach is just off a big army firing range! It’s a long way from anywhere, but the slate reef at Thurso East can lay claim to being one of Europe’s best waves. The drive and the cold water put off all but the hardiest surfers, but those who make the trip invariably return with tales of fast, tubing waves. For experts only. Spring sees an international field of pro surfers in attendance for a world qualifying tour competition, but the warmest water temperatures and guaranteed swell make September the prime time to visit. The reef at Porthleven is home to a splendid but fickle wave. Known for its hollow rights over a flat rock shelf, it gets sucky at low to mid tide when gaping wide barrels are possible. For the wave to be at its best requires a very big west or solid/big southwest swell, and rarely breaks in summer. It can get awesome, but word spreads fast and quickly gets crowded when the waves are good. Arguably the best beachbreak in the country, Croyde Bay is home to a consistent, powerful wave. Shapely sand peaks can be found across the bay at all stages of the tide, but low provides much faster, steeper walls and barrels. Peaks north of the stream are generally better. The reef at the north end is a quality rare right, but is only surfable on very high tides with a big swell – definitely for experienced surfers only. The pocket-sized Wavefinder UK & Ireland has detailed listings of over 450 of the best surfing beaches in the UK and Ireland. Available from www.wave-finder.com priced £12.95. Just north of the San Onofre State Beach, adjacent to the train trestle is one of the world’s best surfing arenas. 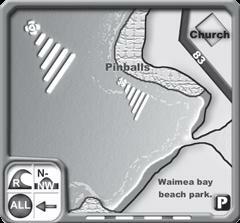 Breaks run continuously from San Mateo Point to San Onofre State Beach. Cotton’s: Lined up left-hander, good in big south to southwest swells. Breaks over cobblestone and sand bottom on any tide, but lower is hollower. Holds 2-12ft plus, all levels. Upper Trestles (Uppers): Superb quality, long (mostly) right-hand cobblestone point wave. Works best on a wrapped northwest to west winter swell at higher tides, when there will be multi-second barrels firing down the beach towards San Mateo Creek. It’ll work well on south swell too though. Any tide is OK, 2-10ft plus. All levels. Best in winter … generally. Crowded with mini-tankers. Lowers: Left and right cobblestone peak. Long rights in winter swells from NW, awesome fast peak left and rights in summer south swells. Generally both left and rights have 3 sections, with the first (outside) being more hollow. Rights are often longer/lined up, and longer than Uppers. Lefts punchy with good channel to paddle back from. Any tide is OK, but low tide plus summer swell and morning offshore = hollow green barrels at high speed. 2-15ft, very crowded. Usually better than Uppers in summer, and vice versa for winter. Down from here in Middles: Mellow right-left summer peak, needing northeast winds and any swell. All tides, although low is better as it can be a mush-burger at the best of times. If your surfing isn’t working here, either get a new board or a coach. 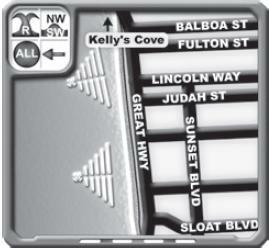 Here’s more info on surfspots in Southern California and throughout the USA & Hawaii. Just over 60 miles from Swansea and about 15 minutes along the A487 from Haverfordwest and you’ll find Newgale. There are many peaks up and down Newgale Sands with several car parks and good facilities. A bit of a swell magnet, therefore very consistent. Best on the dropping tide. Mild currents. On the pebbles at high tide, but can be surfable at the south end. Copes well with its fairly relaxed crowd. Something for al standards here. Penycwm has a sucky, hollow right that works for a few hours on the climbing tide at the north end of Newgale Sands, below the cliffs. Beware of the fast climbing tide on the rocks. Mainly locals, only holds a small crowd. Intermediate / Advanced. There are plenty of other options in this area for the intrepid, so get out there and explore! Here’s info on more surf spots in Wales and throughout the UK & Ireland. Home of the UK Pro Surf Tour’s Saltrock Open and the Goldcoast Oceanfest, Croyde is the most consistent, powerful beach break in Devon. Shapely sand peaks across the bay on all tides, but low provides much faster, steeper walls & barrels. Peaks north of the stream are generally better. The Reef, at the north end, is a quality rare R, needing very high tides or it’s a boiling rock field. Shallow sucky take-off. Needs major swell. Advanced only as errors = dents. Reef does not handle numbers so only surf it if you are with a local. Some good lefts at south end. Here’s info on even more surf spots in Devon and throughout the UK & Ireland.